Woodworkers have many choices in how they choose to work. Some prefer hand tools. Others a hybrid combination of hand and power. With new digitally controlled options like CNC routers, laser cutters and other tools, there are even more possibilities to consider. 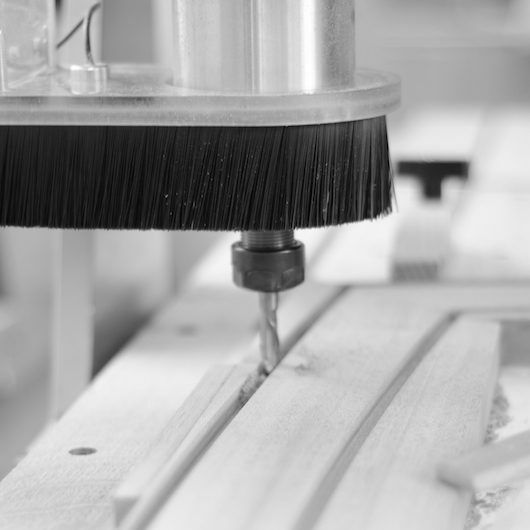 digital.woodworking is an online journal focused on exploring this exciting new world. We're just getting started. There's new ideas to explore, topics to cover and much to show. More coming soon. 2019 Digital woodworking workshop, April 27-28. There's always a lot going on at woodworking.digital. Join our mailing list to get more tips, the latest updates and access to extended articles and free plans. woodworking.digital is all about working with new digitally based woodworking tools. It's a big topic and we'll try to give you a regular peek inside a busy digital woodworker's workshop.